Some progress was made and some games were played! I dedicated a couple of paint sessions to the 6 linemen and still have a final highlight to do on the armor. 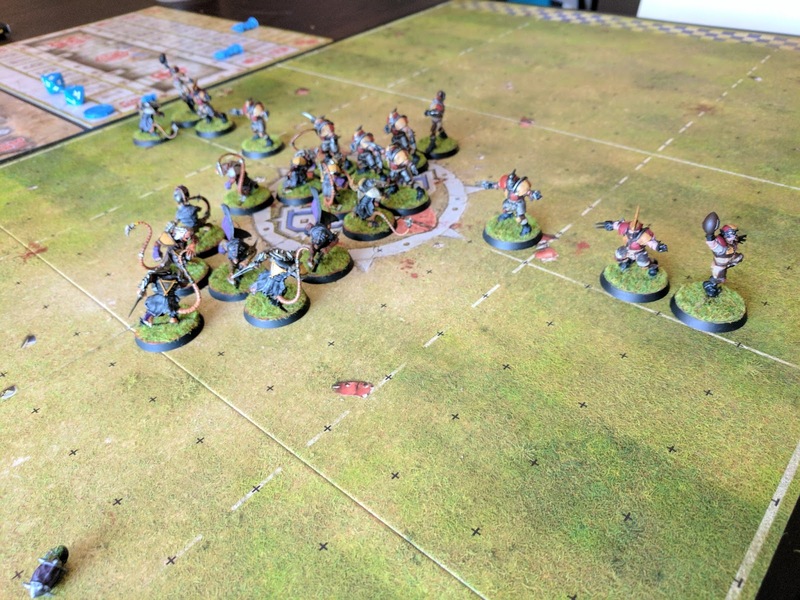 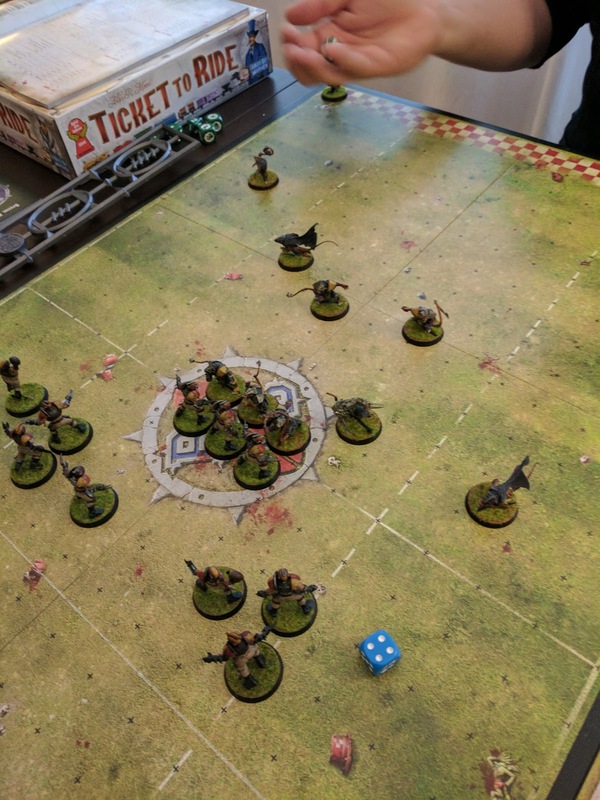 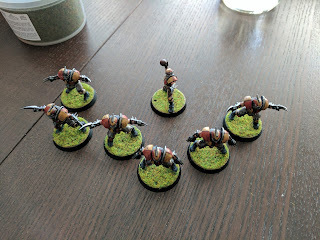 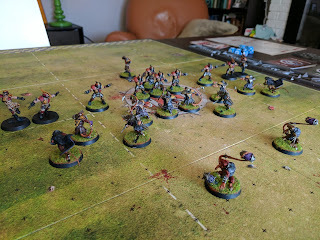 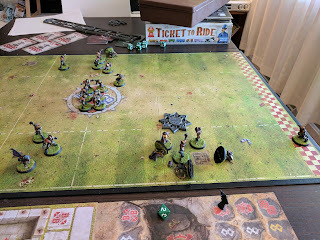 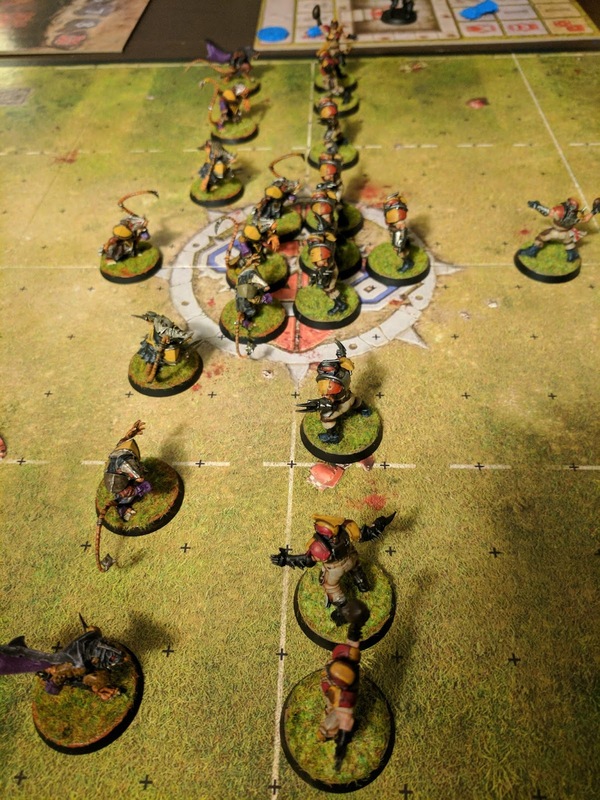 But then decided to rush the final 4 players so I could quickly base them and have a more proper looking team on the field alongside my friend's beautiful Skaven team.